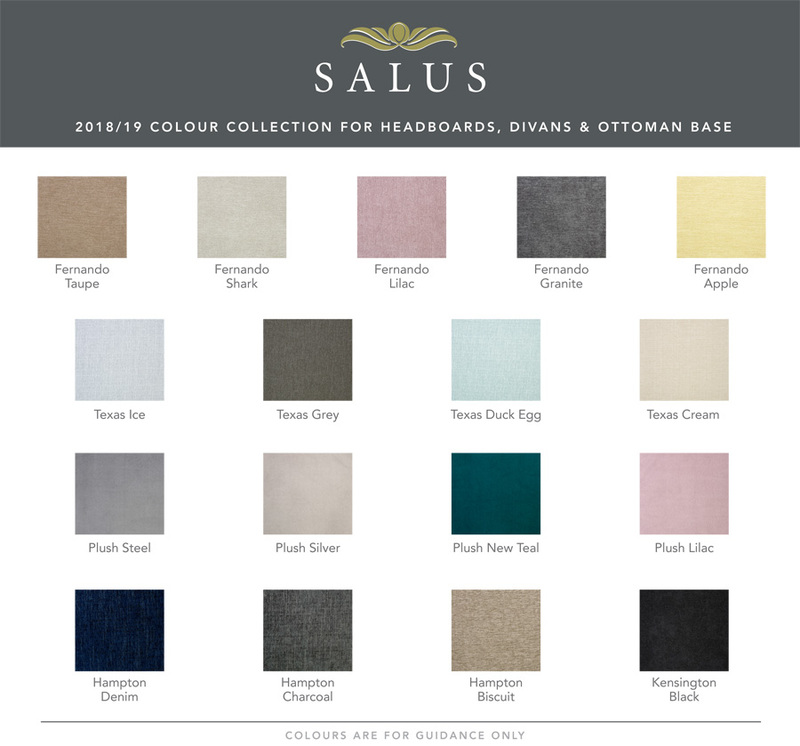 The Salus Tarporley headboard is the only headboard in the New Salus 2019 range that is available on legs , everything else is floor standing. 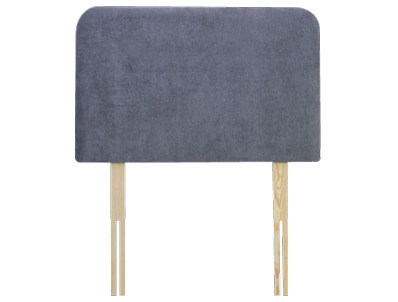 style headboards from Salus that comes on wooden legs . 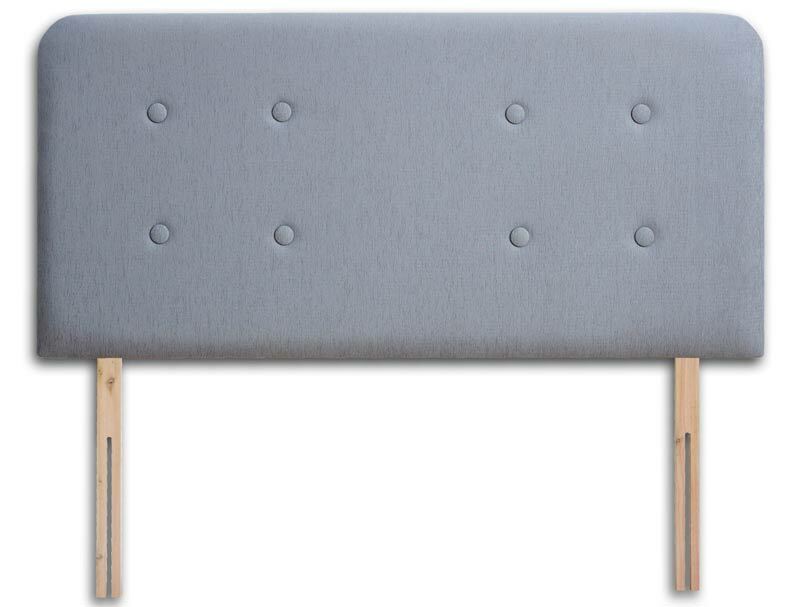 The tarporley has a 61cm deep panel and is 5.5cm thickl and is completley plain apart from rounded corners at the top .The headboard is produced in Single, small double double, king and super king size and in a range of 17 exciting fabric colourways. Each headboard is also 4cm wider than the divan bed it will sit on .